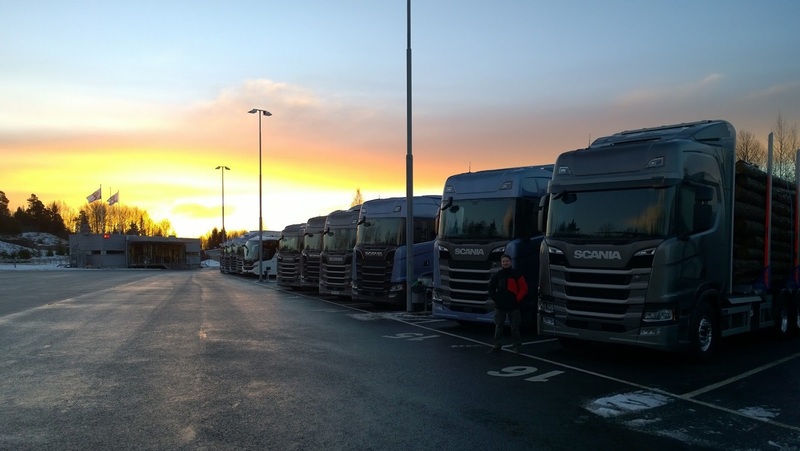 Several weeks ago, we have posted a brief tweet with a couple of photographs documenting the work of a small crew sent by SCS Software to Scania's truck manufacturing plant in Södertälje, Sweden. The guys were there to make detailed 3D scans and take plenty of photos of the new Scania's R and S series vehicles. Even though it was an isolated mention, it became obvious that this news is of much interest to Euro Truck Simulator 2 fan community, as the tweet ended up with over 800 "likes" and 200 retweets; actually record numbers for whole of 2016. The scanning crew has come back to Prague after three days of work, and the team has since started using the ton of acquired digital data as the basis for creation of the new vehicle 3D models. It was a nice surprise for us today to see that Scania's press department has just issued a short video clip interviewing Hynek, our vehicle group leader, recorded back at Scania's Demo Centre facility. We are in the process of preparing a video report from the trip from our own perspective, but we felt that we should comment on the just-released video and Scania's tweet. We are working very hard to create the new models for Euro Truck Simulator 2, but our estimate is that it will take about 12 man-months of focused work to get there. The work can be to some extent split among multiple members of the team, but even taking this into account, we would not dare to guarantee that the trucks will make it into the game "before the summer" as the video and tweet above assure. You know us already, we do not want to make promises and then disappoint you by not delivering on time, so we prefer to play it safe, and avoid committing to particular dates. 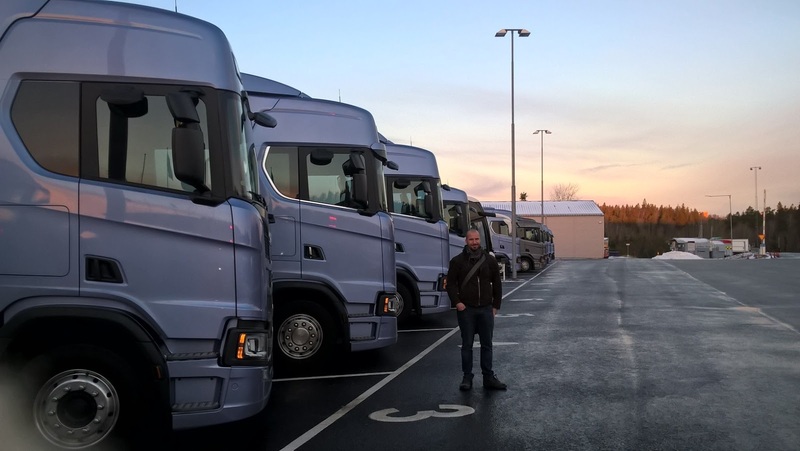 You can trust us though that it's a clear priority for our vehicle team to bring you the new Scania R and S series trucks as soon as possible. 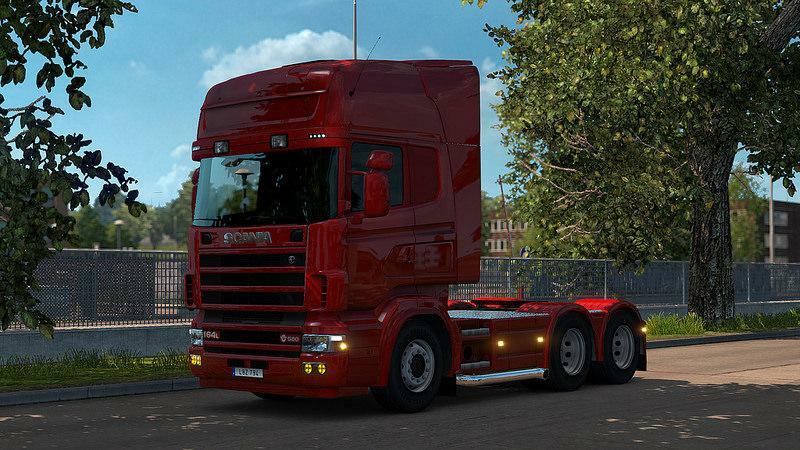 We are going to use a new technique this time, it should bring us yet more precise results and hopefully even shorten the time needed for the raw model creation work as compared to any recently created truck models, so there is still hope. But then again, sometimes things get complicated. 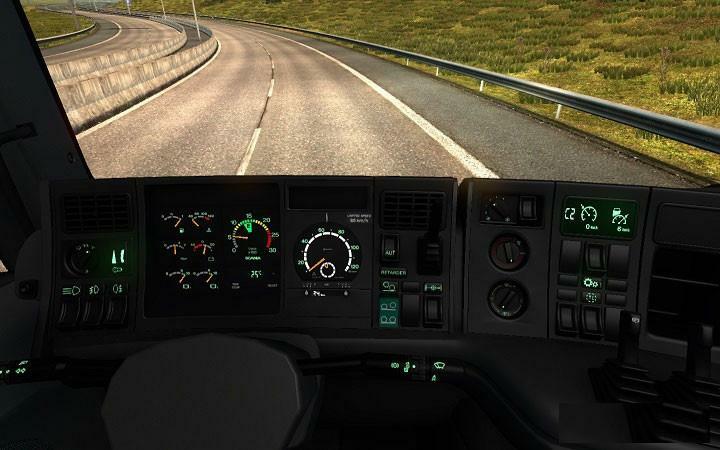 We are sitting on several 99%-complete vehicles for both Euro Truck Simulator 2 and American Truck Simulator, however the approval process may get quite complicated and protracted. Keep your fingers crossed!